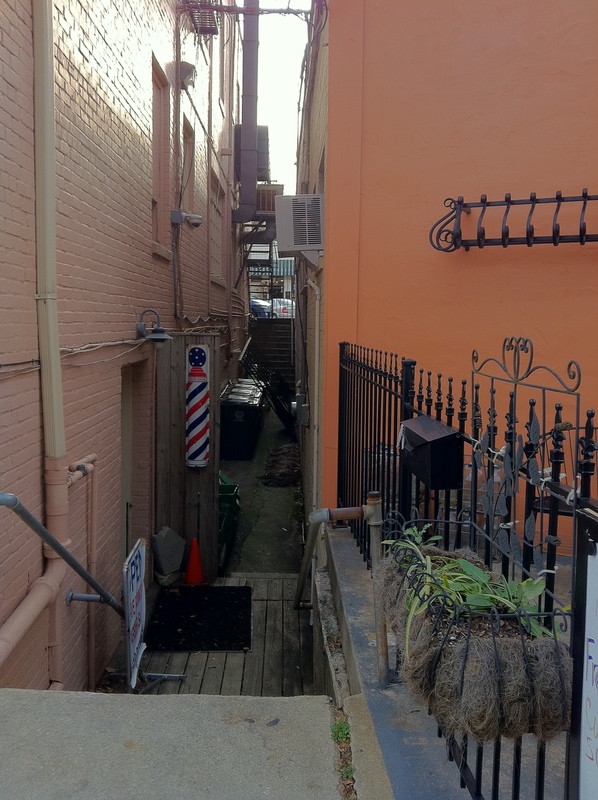 I like this narrow alley in North Carolina because it reminds me of New York. But I’d never walk through it. See more places to squeeze into at The Daily Post. And there’s a barber shop there! That’s a narrow spot for sure! The first time I saw this, I wondered about that. It does. Probably why I notice it. I saw several alleys in South Carolina when I visited. I was impressed with how clean the east coast seems to be in comparison to the west. I noticed that when I visited Charleston. That is a gorgeous city.